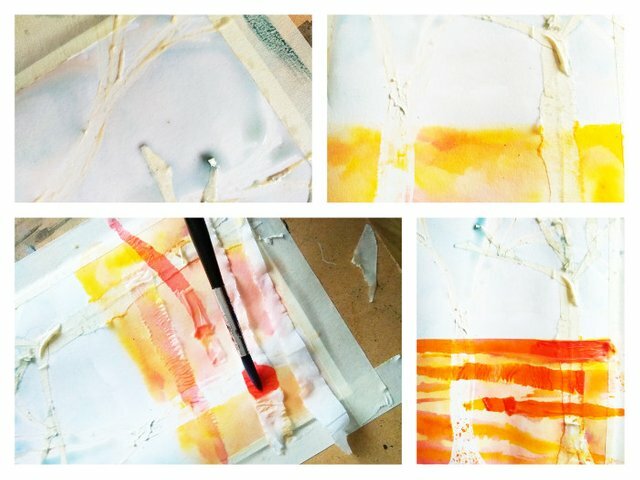 Today, I have been experimenting with watercolors on paper and masking techniques. I was preparing some activities for a workshop and wanted to compare two techniques of masking the paper, I was looking for ease of application and results. 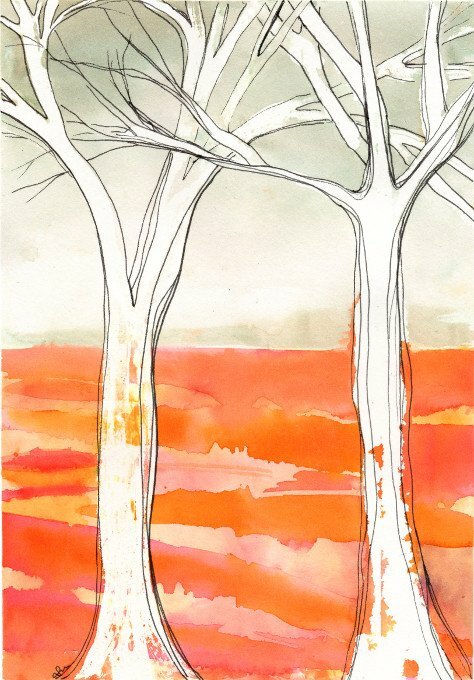 The image I created for this piece was of two trees, for one of the trees I applied torn up masking tape to create the shape of the tree trunk and branches, for the other tree I used a masking fluid and painted on to the paper with a thin brush the shape of a tree. When using masking fluid I coat the brush lightly in washing up liquid first, and I keep a selection of brushes I use purely for applying masking fluids -as it can difficult to remove from the paintbrush! 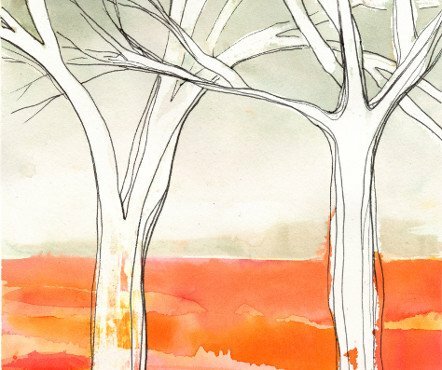 I applied layers of watercolour over the masking tape and masking fluid, I then placed a creased tissue over the top of the watercolor to absorb some of the paint and create subtle lines across the surface of the watercolour. 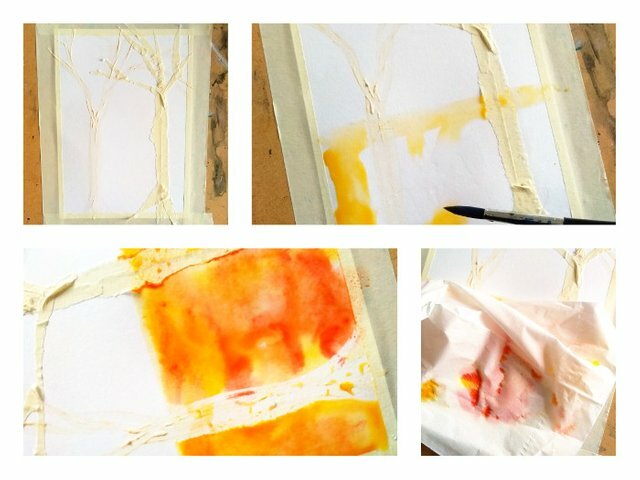 The next stage was to lie strips of tissue over the semi-dry watercolour paint and apply more colour to the surface of the tissues. Creating a series of colourful stripes over the paler background colours. Once dry the masking tape and the masking fluid were removed. I think the masking fluid gave a crisper finish with finer details than the masking tape. 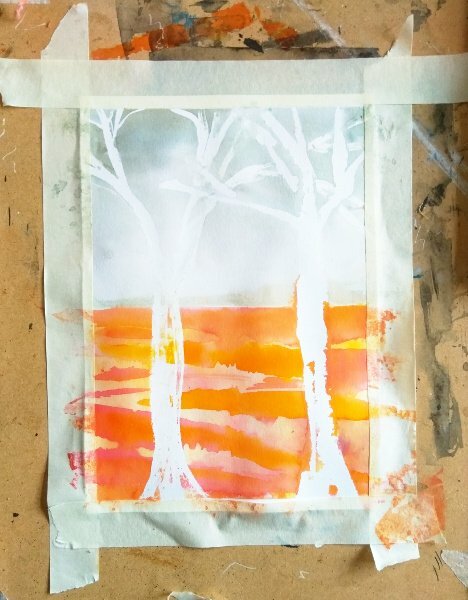 I also think the masking fluid is easier to apply than the masking tape, so this will be what I'l be using in my workshop. 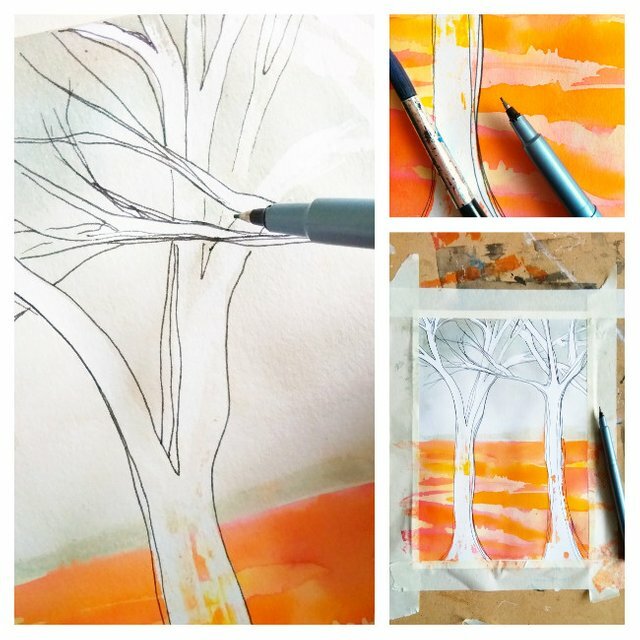 On the left is the tree created using masking fluid, the tree on the right was created using masking tape. The final stage was to use a black fine liner pen to draw in the shape and contours of the trees. My favourite parts of this image are the white lines of the trees against the grey background, and the orange and yellow paint that has seeped through the masks and onto the tree trunk.The colours remind me of the yellow and rust coloured lichen that I see growing on the trees in the woods. I forward to seeing what images people create in my workshop using these simple techniques. 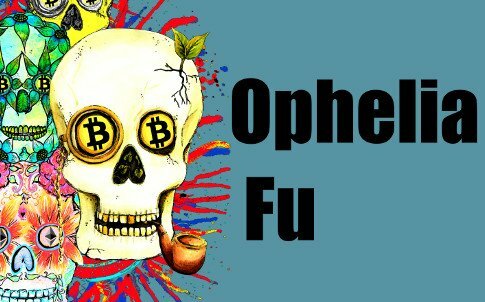 I loved the @opheliafu drawing and the technique you applied gave it a special touch. I really like everything you do to create, from the simplest and most common things you create true works of art that brighten the spirit. I enjoy it very much. A hug.